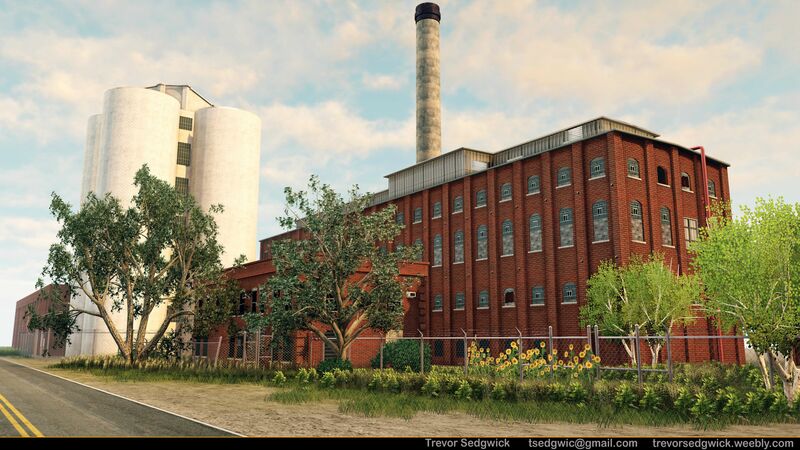 Based off an actual sugar mill factory located in Longmont, CO. Models were created in Maya and brought into UDK. Textures created using Photoshop and xNormal. The bricks were sculpted in Mudbox. Final image is from UDK with a little color correction done in Photoshop. I stuck to modular pieces and tiling textures for most of the model (windows, bricks, props, etc). Plants were a mix of alpha cards and actual poly meshes.